I am 5-foot-1. Any time I get the chance to give myself a few extra inches, I will take it. 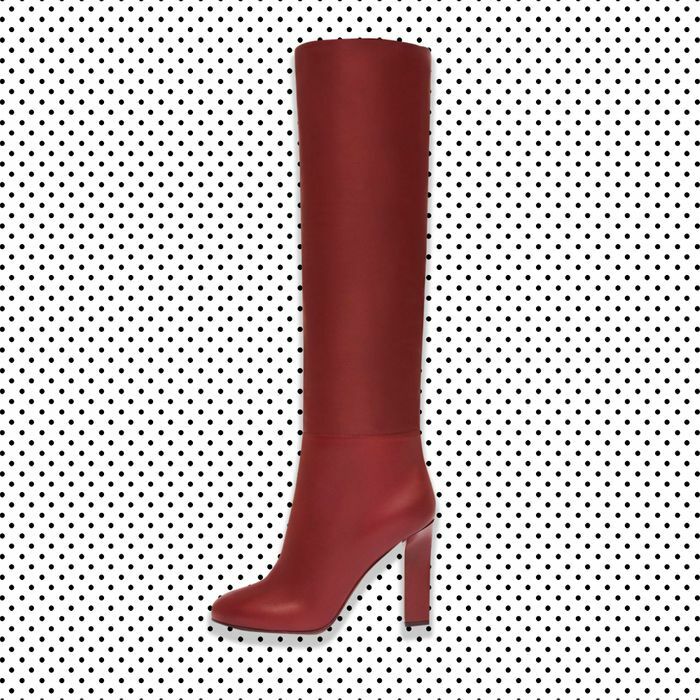 So these leather, knee-high, round-toed Victoria Beckham boots are the stuff my dreams are made of. With a heel height of 11 centimeters (or a little over 4 inches), these might require you to take a car service. I, for one, feel it would be worth it. The pristine calf leather on these boots looks buttery soft and I am sure feels like it has been specially made to wrap around your feet. The simplicity of the design is what makes these a stand-out. Not a single stud, buckle, or sequin is needed for them to make a statement. Wear them with a blazer over jeans for a 1980s feel (anyone else getting that Princess Di mood?) or put them under a three-quarter length skirt for a working-woman-on-the-go vibe worthy of Posh herself. The boots comes in classic black and green, but the rich burgundy is my hue of choice.